We create high-impact exhibition, experiential and conferencing solutions, whether redeveloping existing assets, adhering to brand guidelines, creating digital and printed materials in accordance with your on and off-line media, or as a bespoke solution. 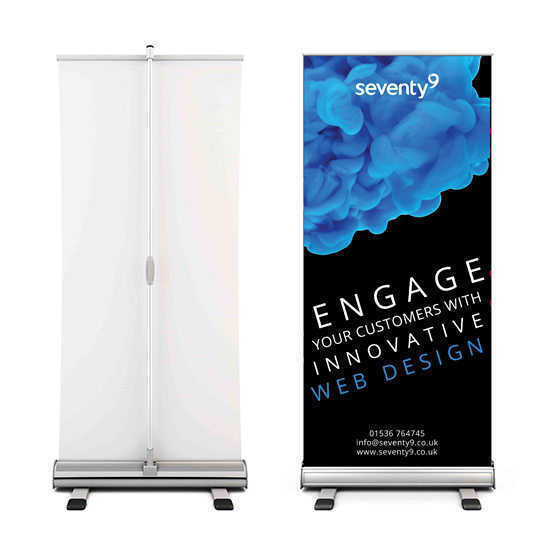 We provide design for modular exhibition systems and pop-up display banners, image retouching, large-format artwork supply, interactive technologies, video and animation - everything for a unique 3D environment. We deliver and project manage a full range of large format print, utilising the very best equipment to produce an extensive range of large format materials and products, ranging from display boards, roll-up banners, shape-cut displays, twist stands and PVC banners to billboards, window displays and vinyls, together with standard size displays and posters such as 6-sheet, A3, A2, A1 and A0, and, in addition to standard sizes, we create bespoke, personalised displays specific to individual projects. We will always create a solution to fit all exhibition stand requirements. In addition to creating high-impact displays, we provide a full survey and installation service whether for a hoarding, wall or window display, one-off and bespoke large internal or external display, together with all shapes and sizes of signage and wayfaring, internal or external, on any material suitable for the project.